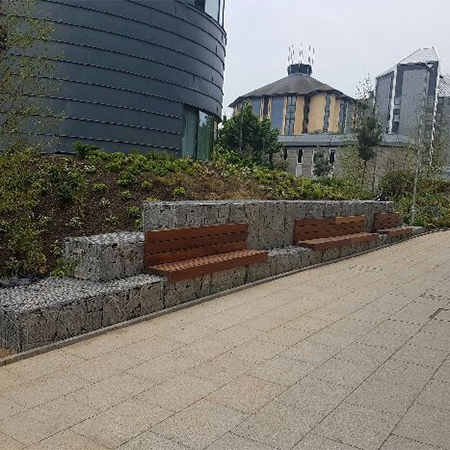 Bailey Streetscene has provided a range of outdoor seating solutions for the external area surrounding the new Fusion Building at Bournemouth University. 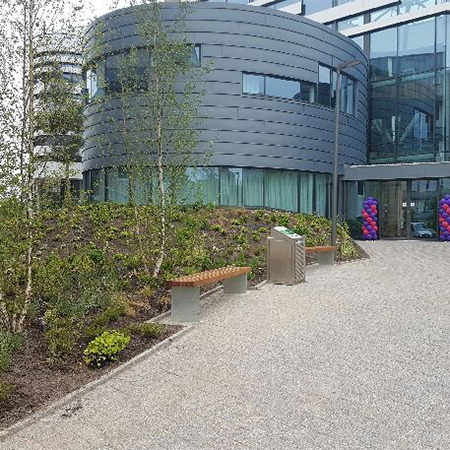 The new Fusion Building at Bournemouth University is designed to be a central building for research and education. 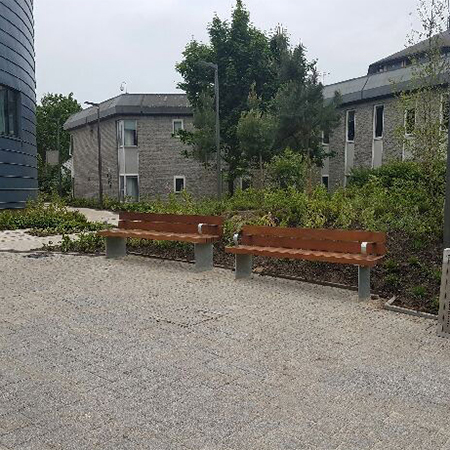 This is the second biggest project for Bournemouth with the student centre being an earlier project on the University campus. 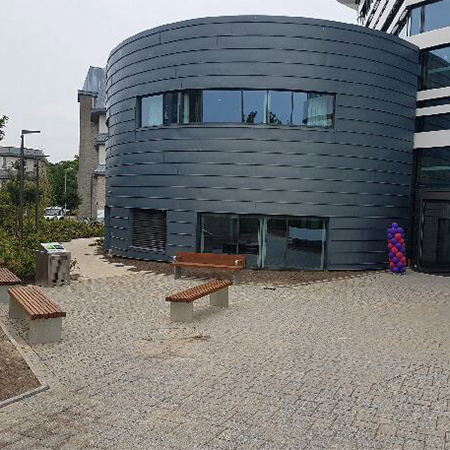 Fusion was designed around a central atrium to create a focused area for socialising and studying. 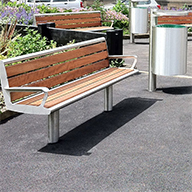 Willmott Dixon approached Bailey Streetscene with a proposal to design and supply a range of seating products for the surrounding external area. 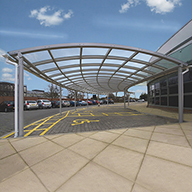 The client required products that were within a tight budget and provided the best space. 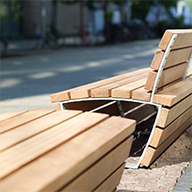 After negotiations and further planning the products chosen were; the Shafton Iroko Bench, the Shafton Iroko Seat, the Shafton Iroko Picnic Benches and some bespoke wall mounted seating. All the products were provided within the budget. 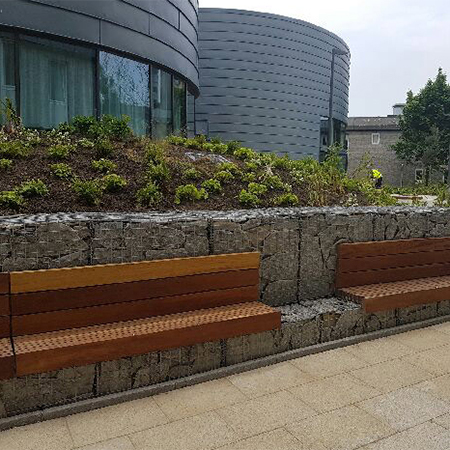 The seating supplied by Streetscene was adapted to maximise on the outdoor space and create an inviting social environment. 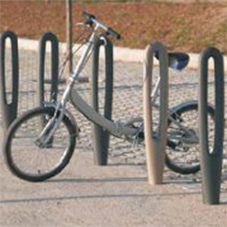 The use of anti-skate studs was to combat the potential for anti-social behaviour and damage to the products.